Teaching Geography Creatively was Winner of the Geographical Association Gold Award 2014 and Winner of the Geographical Association Silver Award 2017. 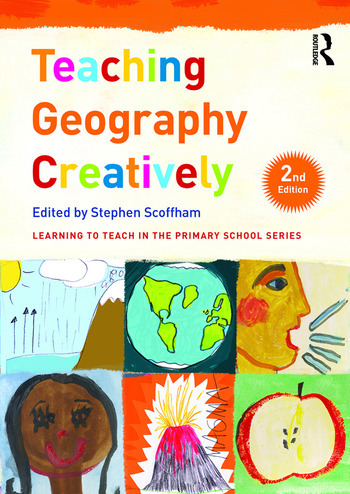 This fully updated second edition of Teaching Geography Creatively is a stimulating source of guidance for busy trainee and experienced teachers. Packed full of practical approaches for bringing the teaching of geography to life, it offers a range of innovative ideas for exploring physical geography, human geography and environmental issues. Underpinned by the very latest research and theory, expert authors from schools and universities explore the inter-relationship between creativity and learning, and consider how creativity can enhance pupils’ motivation, self-image and well-being. Two brand new chapters focus on creative approaches to learning about the physical world, as well as the value of alternative learning settings. With contemporary, cutting-edge practice at the forefront, Teaching Geography Creatively is an essential read for all trainee and practicing teachers, offering a variety of practical strategies to create a fun and stimulating learning environment. In the process it offers a pedagogy that respects the integrity of children as joyful and imaginative learners and which offers a vision of how geography can contribute to constructing a better and more equitable world. Stephen Scoffham is a visiting reader in sustainability and education at Canterbury Christ Church University, UK. A leading member of the Geographical Association, he is the author of many books for teachers and children on primary geography, and a school atlas consultant.